Some Peek in the Stacks blog posts are authored by CSUN students who work in Special Collections and Archives in the Oviatt Library. This week's post was written by Tanner Gilliland-Swetland, a student assistant in the Urban Archives. 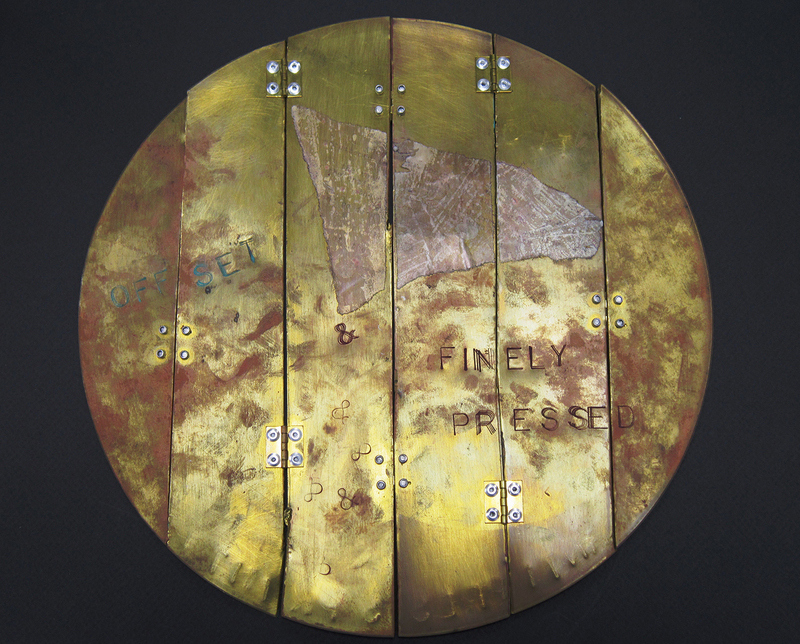 Tanner is a graduate student majoring in Art with a concentration in sculpture. Archival collections are generally made up of materials which are used for scholarly research, especially correspondence, diaries, maps, minutes, agendas, and photographs. 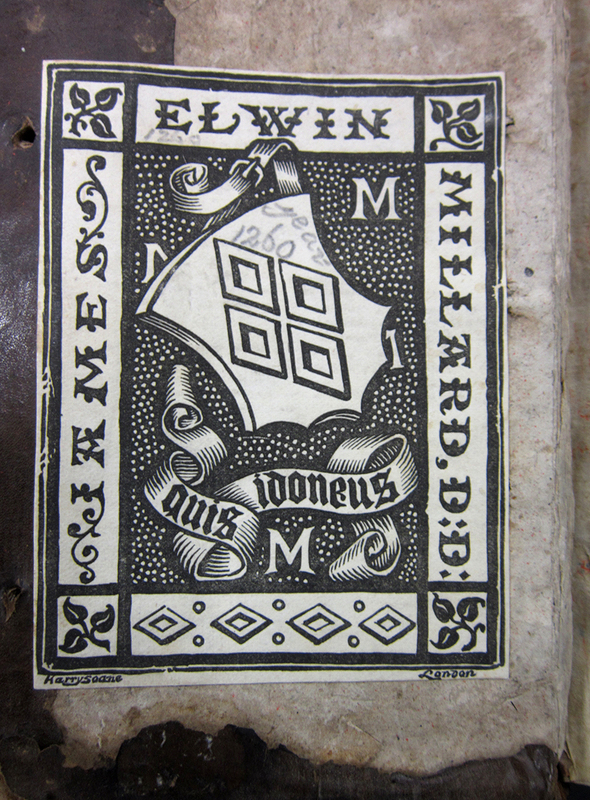 In addition to these materials, some collections contain unusual and unique items in the form of rare ephemera, one of a kind or single issue publications, and curious objects that are difficult to categorized. These items can reflect moments in time, and inspire us to learn more about the people, places, and events which led to their creation. 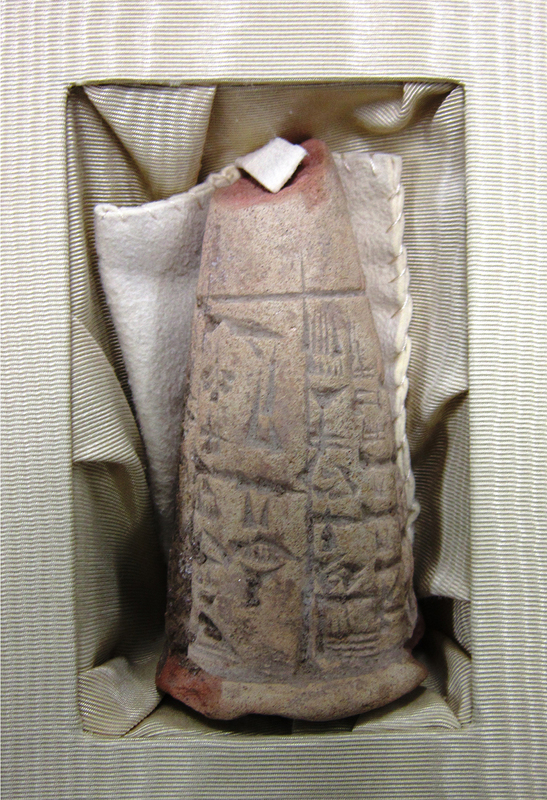 The oldest item in Special Collections and Archives is a conical Sumerian calendar with Cuneiform text, an ancient form of written language. Made of clay and about six inches tall, it serves as a record of the construction of a temple in the Fertile Crescent and dates back to approximately 2350 B.C. While the cone was likely intended as a marker of the temple’s construction, it now serves as a tangible remnant of an ancient time with which modern scholars can contextualize the period. 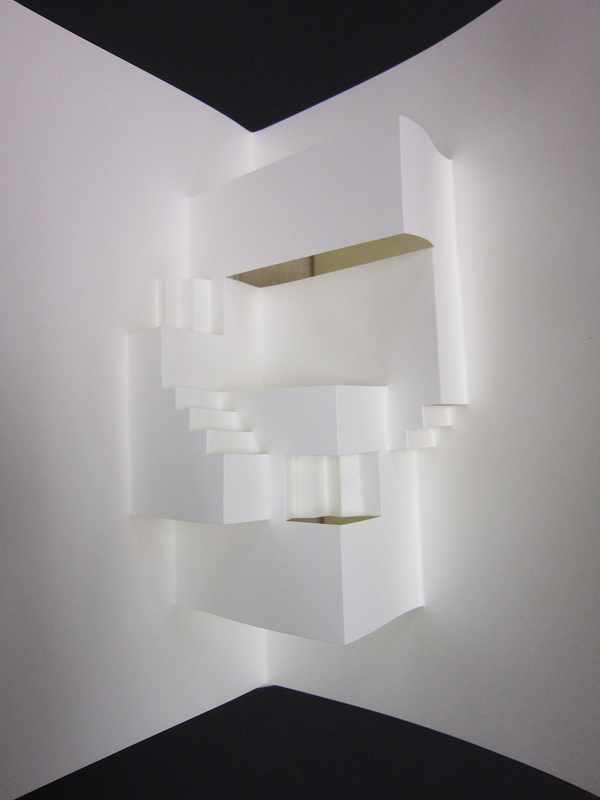 Among the rare books held by Special Collections are artists' books, several of which feature unusual and interesting 3-dimensional elements. One such book is Pamela Moore’s Offset & Finely Pressed Book. 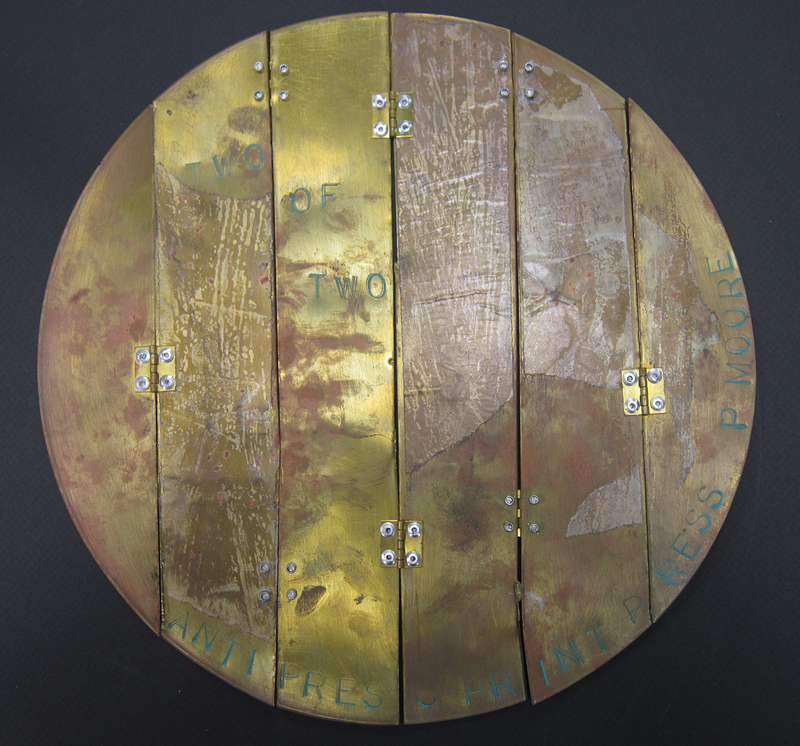 Moore’s book is made from brass and wax paper and was designed to fold out into a circular shape using accordion style hinges. The collection also includes books like Stairs, created by Rein Jansma, a pop-up book that opens to reveal minimalist staircase forms, reminiscent of an M. C. Escher illustration. 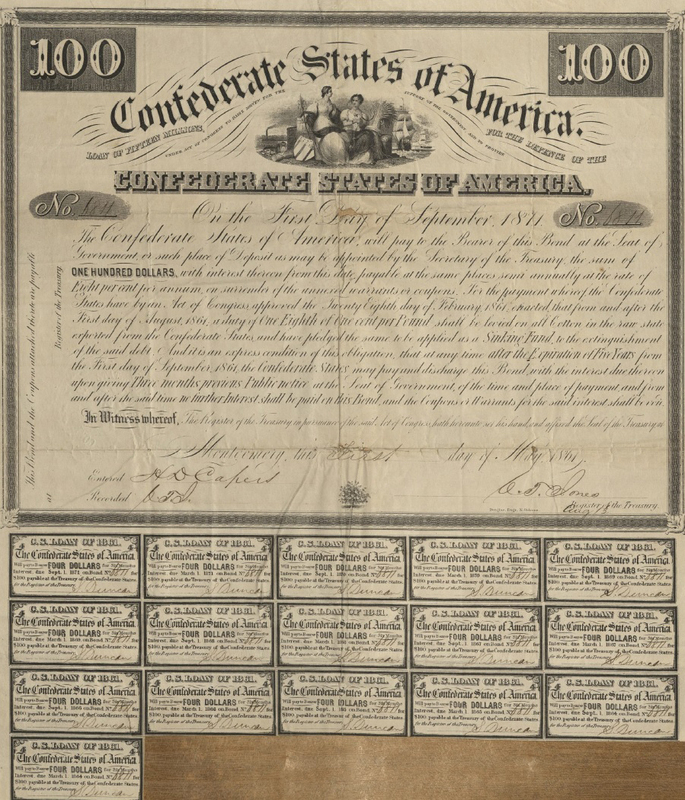 One object in Special Collections and Archives draws attention to the history of the American Civil War –a Confederate States of America Bond for $100. California had been a state for just over a decade when the Civil War broke out and was geographically removed from the battles. California entered the union as a “free state,” having abolished slavery with the Constitutional Convention of 1849, and so was aligned with the Union Army. 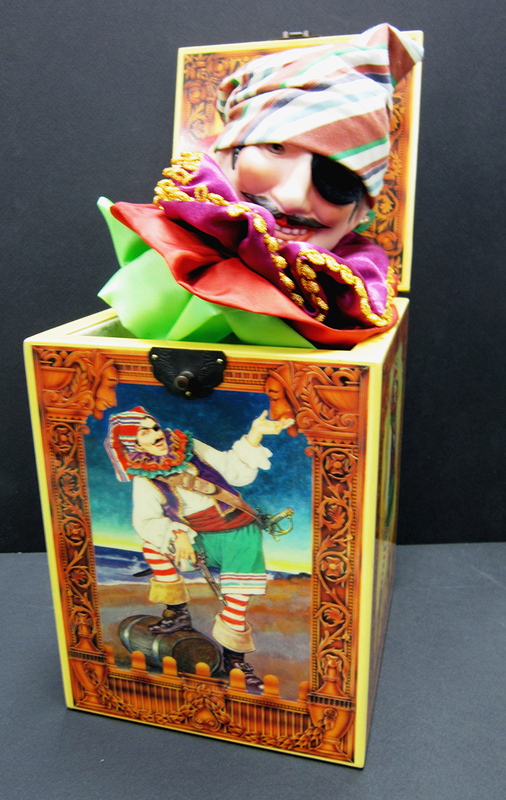 Some pieces are more humorous in nature and can only be described as curious by archival standards, such as the Pirates of Penzance Jack in the Box. 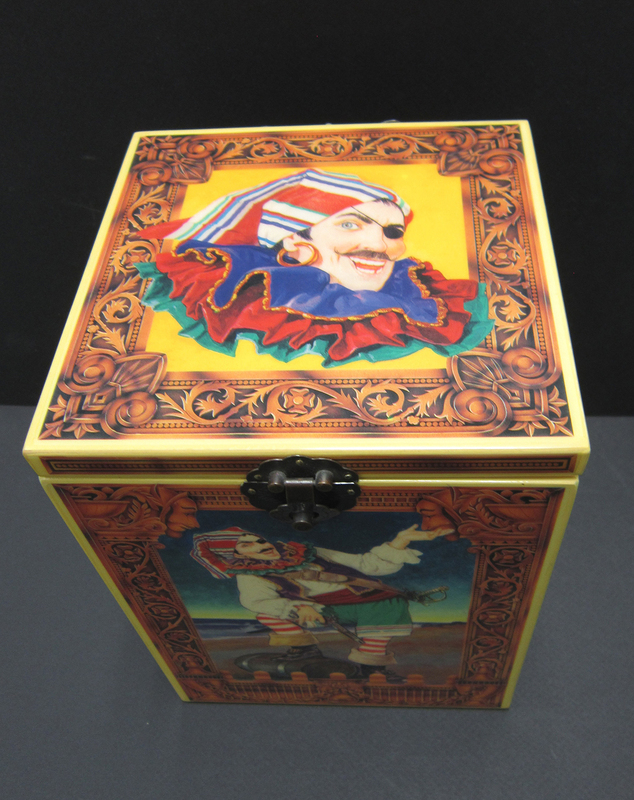 The box is made of wood and is adorned with images from the Gilbert and Sullivan opera painted on its sides and lid. The jack inside is a finely crafted porcelain pirate, which emerges to the tune of the overture from Pirates of Penzance. 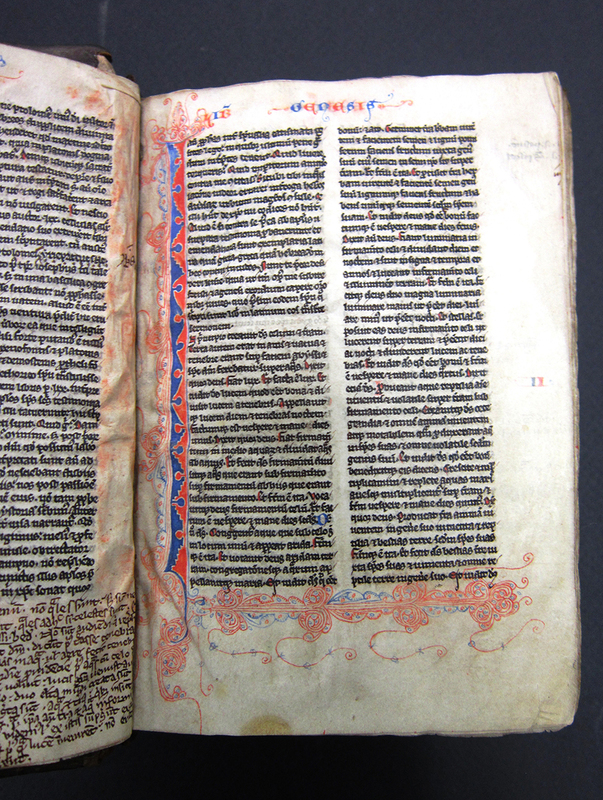 In contrast to the whimsical jack in the box, Special Collections and Archives holds many important religious texts such as a handwritten, or manuscript, Bible. 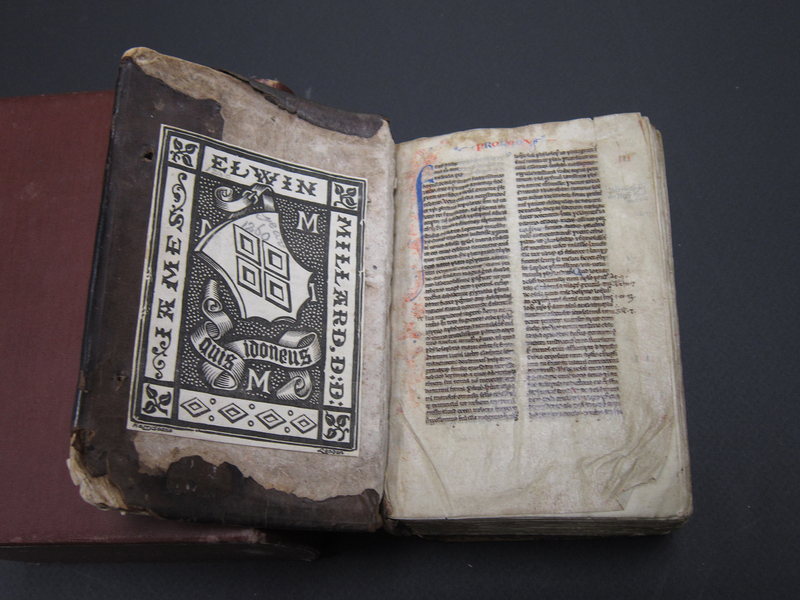 The Bible is approximately five inches long by four inches wide, and dates from the mid-13th century. Penned in Latin with marginalia in Latin and Greek and the rulings for the margins still visible, the piece demonstrates the European tradition of bookmaking prior to the invention of the printing press. 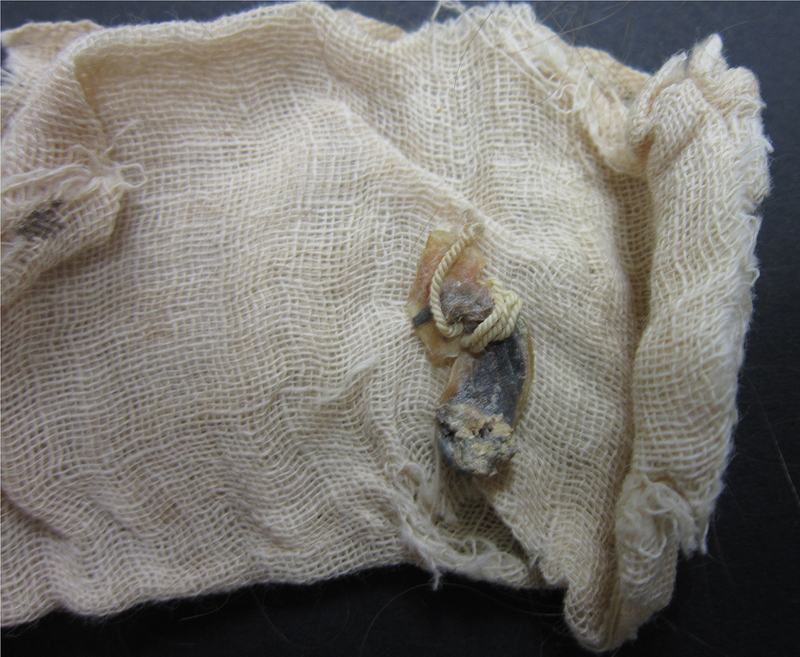 One of the most interesting objects currently held in Special Collections and Archives is a fragment of an umbilical cord wrapped in gauze bandages. A part of the Zoya Shlakis Collection, the cord resides in an archival box along with other ephemera, including a lock of hair in a cloth envelope. Both of these items act as markers for moments in the lives of a single family, but also serve to illuminate the Jewish experience in China, and are an example of one émigré family's cultural traditions, brought with them to the US as they fled first Russia and then China in the first half of the twentieth century.